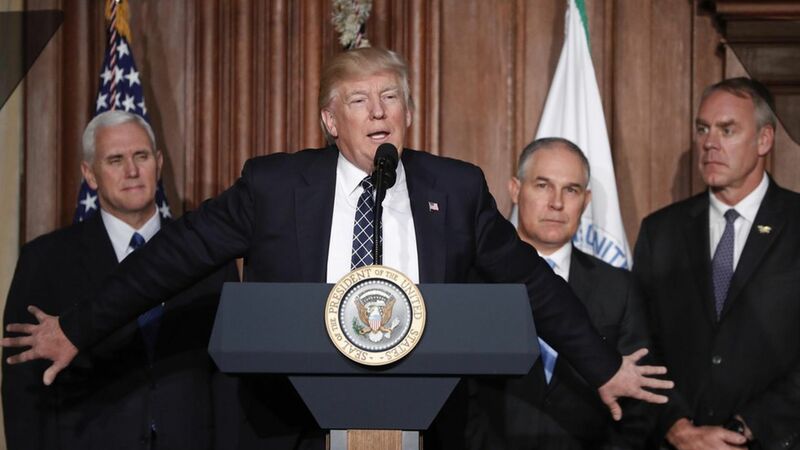 Energy dept bans "climate change"
The Department of Energy's Office of International Climate and Clean Energy has been directed not to use the phrases "climate change," "emissions reduction," and "Paris Agreement" in any official written communications, per Politico. The office is the only one with "climate" in its name at the Department of Energy and is an artifact of the Obama administration's clean energy initiatives, which have been largely cast aside under President Trump. A Department of Energy spokesperson denied there was a formal ban on language, but one of Politico's sources said their office had consciously been choosing to use words like "jobs" and "infrastructure" to better represent the Trump administration's priorities.